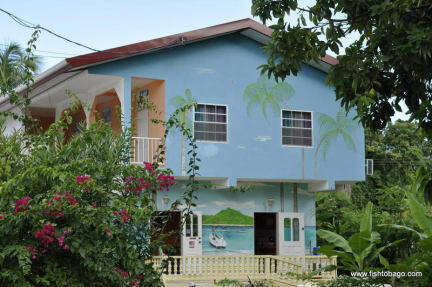 I had an awesome time staying at the Fish Tobago Guest House and exploring the Island of Tobago. 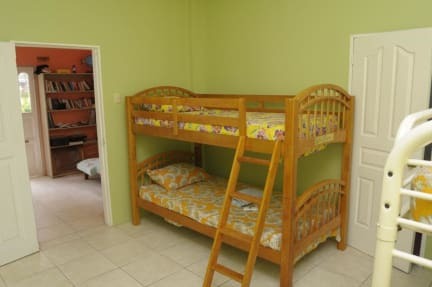 The guest house had everything a traveler could ask for - clean rooms, private bathroom, a public kitchen, impeccable ac, and a comfortable communal area to talk with other guests and locals. Brandon, the owner, was very friendly and accommodating and during my stay and he made it his mission to give me a fun, memorable experience. If you’re planning a trip to Tobago, staying here is a MUST. My stay a Fish Tobago was abosolutely wonderful. We had a lovely stay! The facilities were nice and clean. They serviced the room every two days to give fresh sheets and towels. Our first night, the staff invited us to join the for dinner and they shared different traditional foods with us. We had a wonderful experience overall and I would definitely stay here again! Went to stay at the guesthouse for four nights. Ended up staying 6 nights and coming back later for a few more. Had the best time at this place and can't really complaint about anything except the additional fee on the wifi. Buccoo is the perfect village to stay in when visiting Tobago. It is nice and clean place. WE met a lot of nice people here and made friends. Recommend to others. The host is very friendly and the location was peaceful and beautiful.